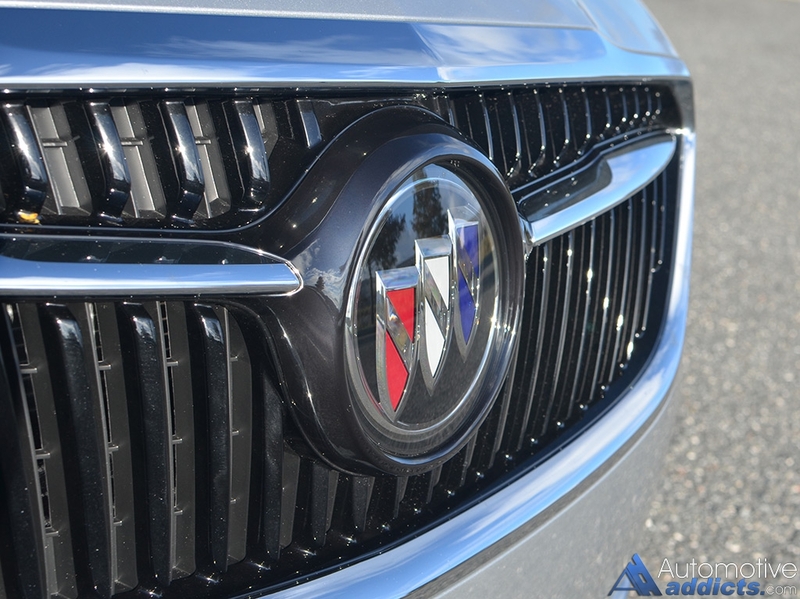 Among automotive brands that have set out a new course to somewhat redefine their existence in American culture, Buick remains to be one that has clear sights on a destination to reach deep into demographics outside of tradition. 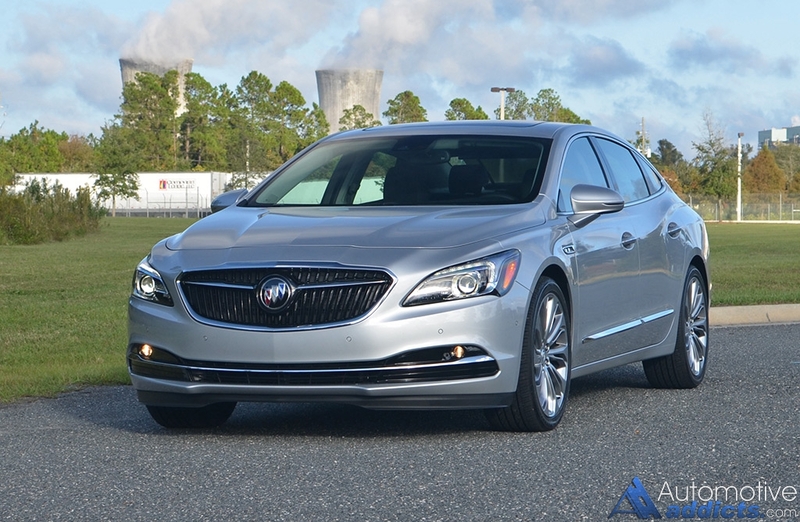 One vehicle that has reemphasized Buick’s new course is the completely redesigned 2017 LaCrosse. 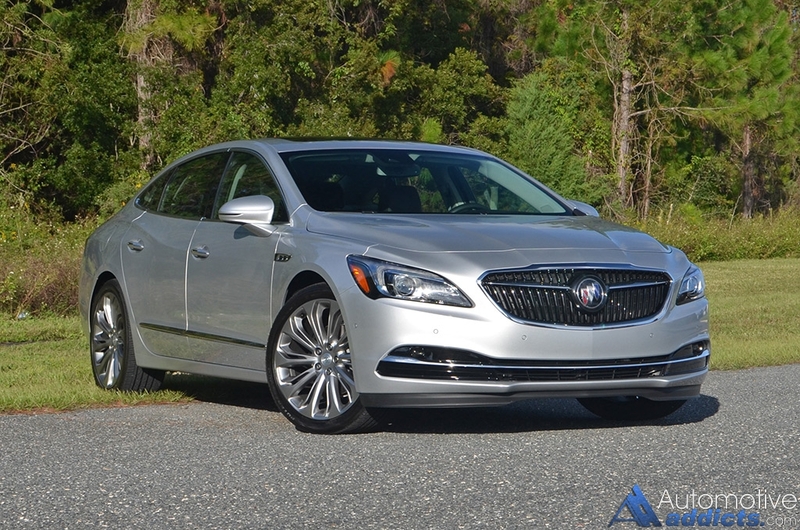 Taking on a new design inside and out, all new Buick LaCrosse trims, a total of four levels (Base, Preferred, Essence, and Premium), are powered by the a 3.6-liter V6 engine. The choice of a naturally aspirated V6 goes the distance in avoiding the turbo-lagging inconsistencies of forced induction yet retains the ability to provide substantial power and respectable fuel efficiency. 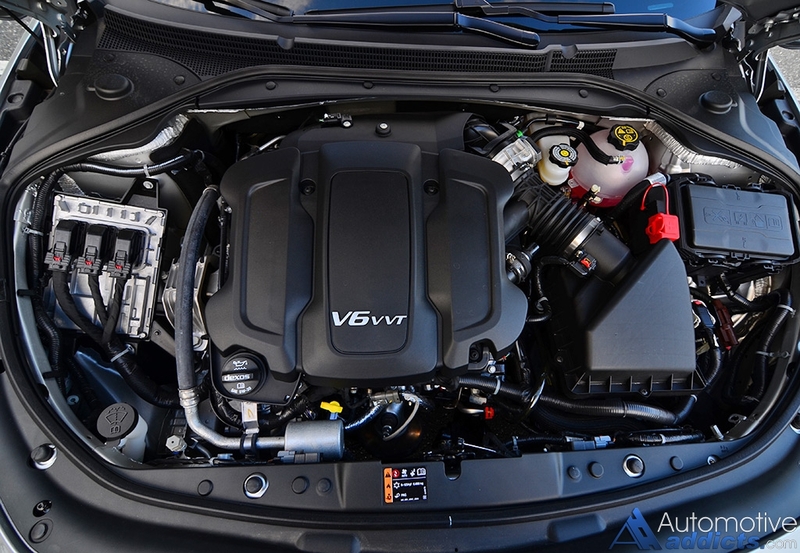 The new V6 engine, with 310 horsepower and 282 lb-ft of torque, gets mated to a new 8-speed automatic transmission that has smooth shifts proving to land on the right gear in most conditions without unnecessary hunting. The power from the new V6 engine, which can be had in the standard front-wheel-drive configuration or send power to all four wheels by an optional all-wheel-drive system, gets my FWD LaCrosse Premium test vehicle up to 60 mph in just 5.9 seconds. 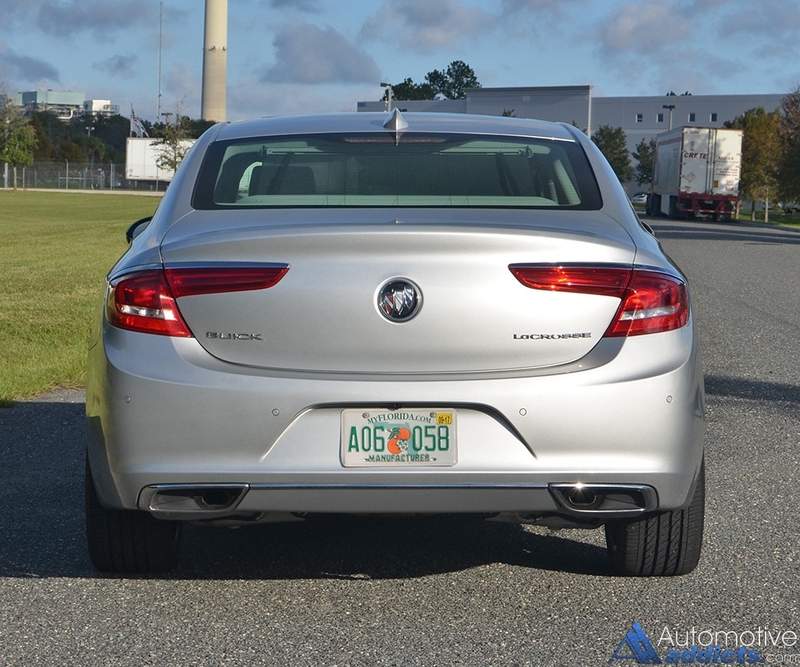 The assuredness of the new Buick LaCrosse’s chassis’ increased rigidity delivers on performance with large patched 20-inch wheels on my top-level trimmed test vehicle, and a balanced suspension system with adaptive dampers and a sport mode that firms them up. While the new LaCrosse won’t ever find itself on a track, it is competent enough on the road for a decent ride quality that also exudes a welcomed luxury and sporting feel. Though, the 20-inch wheels are conducive of some roughness upon impact of road bumps. Otherwise, the ride is great and GM has thoroughly done their homework to give the 2017 LaCrosse one of the best suspension systems to ever come out of the brand. In all, the LaCrosse doesn’t drive as big as it is; it’s somewhat light on its feet and gets out of the way when it needs to. I my assessment, it’s the best driving vehicle in its class within the scope of its price point and front-wheel-drive basis. 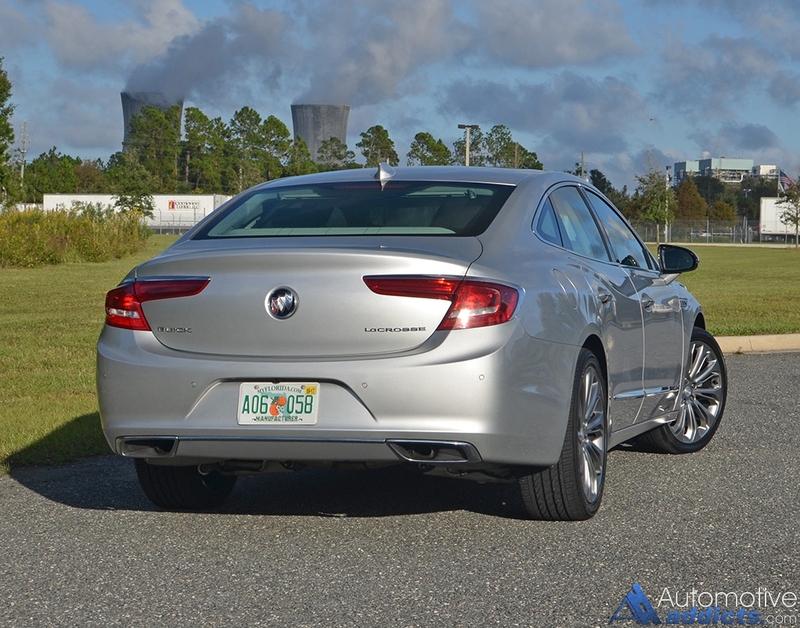 Pushing the new 2017 Buick LaCrosse hard out of the hole, the front tires bark and there is a taste of torque steer that is sometimes rectified by stability and traction control stepping in. Braking performance is decent, too. The brake pedal remains firm and consistent, which is another assuring part of driving the new LaCrosse. Fuel economy is quite respectable considering the new 2017 LaCrosse is powered by a beefy V6 engine with just over 300 horsepower. I saw an average of about 26.7 mpg with mixed city and highway driving. My best figure on the highway was 31.6 mpg and while in heavy city traffic I managed to still get 22.3 mpg, which is slightly better than the EPA estimates of 21 mpg city, 31 mpg highway, and 25 mpg combined. My better-than-average city mileage was partly due to the undefeatable engine start-stop system, which was fairly smart in the way it selected times to shut down the engine for several seconds yet keeping the air-conditioner running and cool at the same time. The system was never an annoyance or overly intrusive as the engine started promptly upon the demand for acceleration. 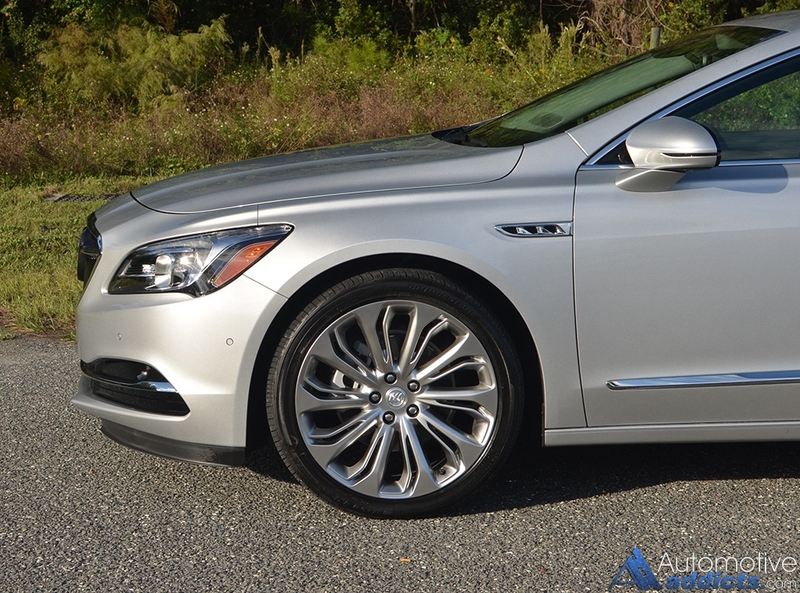 The new 2017 Buick LaCrosse embodies many of the traditional design traits that we have grown to expect from the Buick brand with the exception of a new sleek look that is somewhat borrowed from the remarkably sleek-looking Buick Avenir and Avista concept cars. The new design of the LaCrosse takes on an approach that can be considered sporty but retains its contemporary flair. 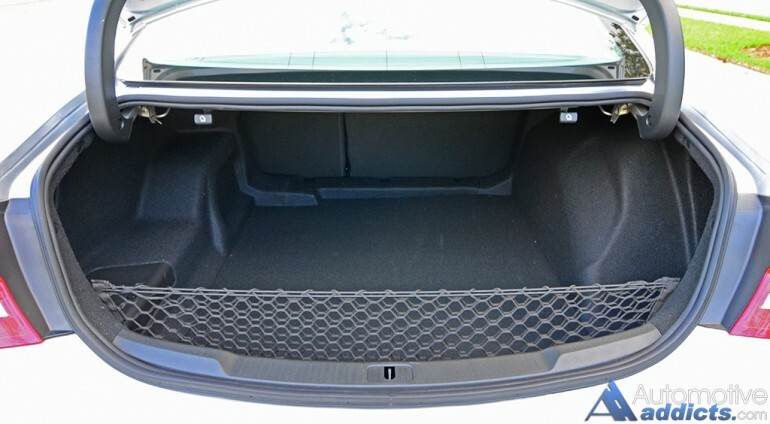 In all, the new design comes together well for an extremely attractive front fascia housing articulating bi-xenon headlights, LED turn signals, LED daytime running lights, halogen foglamps, and lower active grill shutters that automatically close at speed for a more aerodynamic profile and less drag. Out back, the lighting takes on a unique approach with new LED tail lamps but left the braking light with incandescent bulbs. 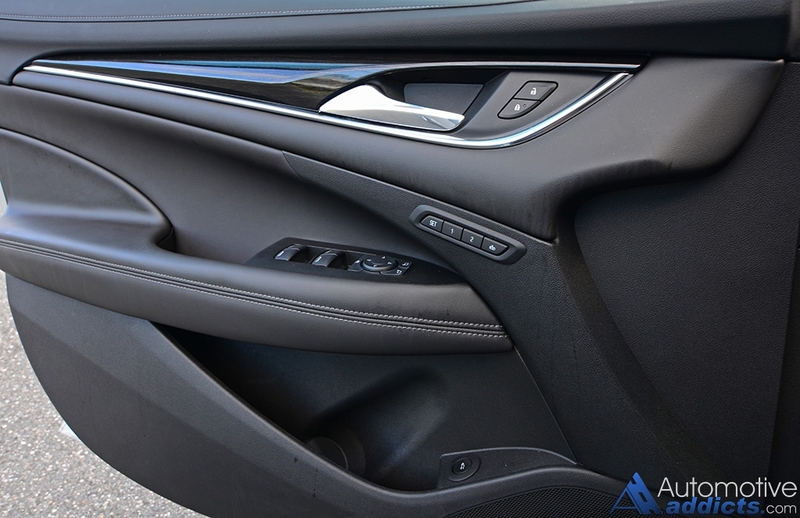 The interior of the new 2017 Buick LaCrosse is nicely appointed with several soft touch surfaces accented by contrasting stitching throughout the seams and edges. The wood trim adds a nice touch to sway from what would otherwise be a monotone theme from the abundance of dark surfaces in my LaCrosse test vehicle. 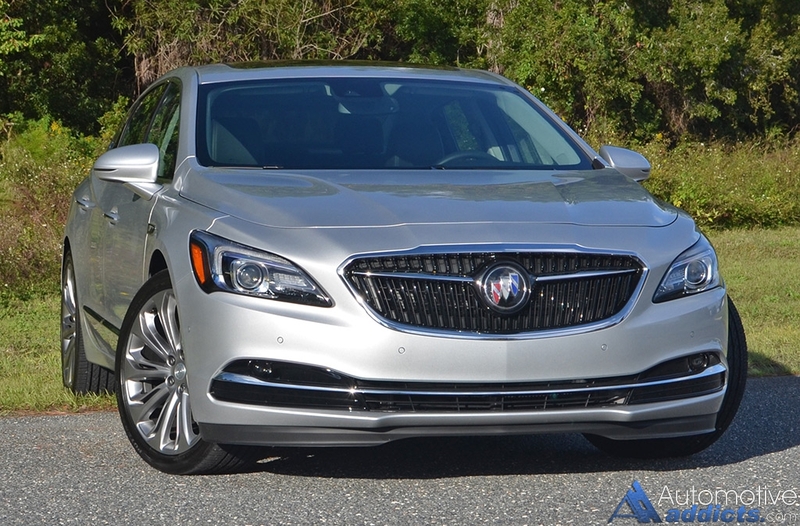 Buick took exceptional notes in what consumers want in a full-size luxury sedan and it pays dividends in the new LaCrosse’s cabin. Controls are all easy to reach and the latest Buick Intellilink infotainment system borrows the best traits from the General Motors parts bin with slight subtleties that are unique to the brand. Everything is where it should be and the quality aspects are remarkable. The only caveat to the controls of the new LaCrosse being nearly perfect is the gear selector having a unique leftward motion to enable Reverse. 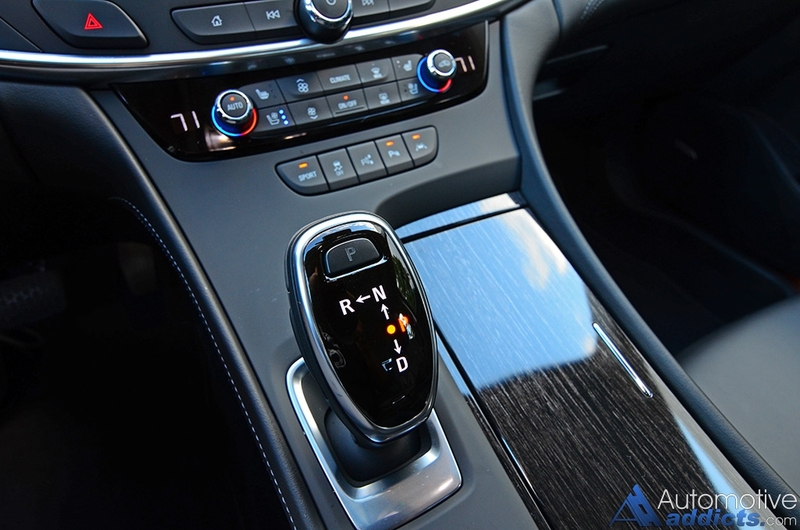 While an owner of the new 2017 LaCrosse would eventually get used to the shifter, which nearly mimics electronic units from BMW, initially attempting to quickly shift into Reverse may not be as easy as first thought. Still, my thought here is the shifter invokes an additional thought process to help reduce accidental gear selection. However, the system does automatically select Park if you ever elect to shut off the engine while still in gear. Seating comfort is good as is the accommodating room for both the front and rear seats. Up front, the climate-controlled seats in my top-trimmed LaCrosse Premium test vehicle have a massaging feature. 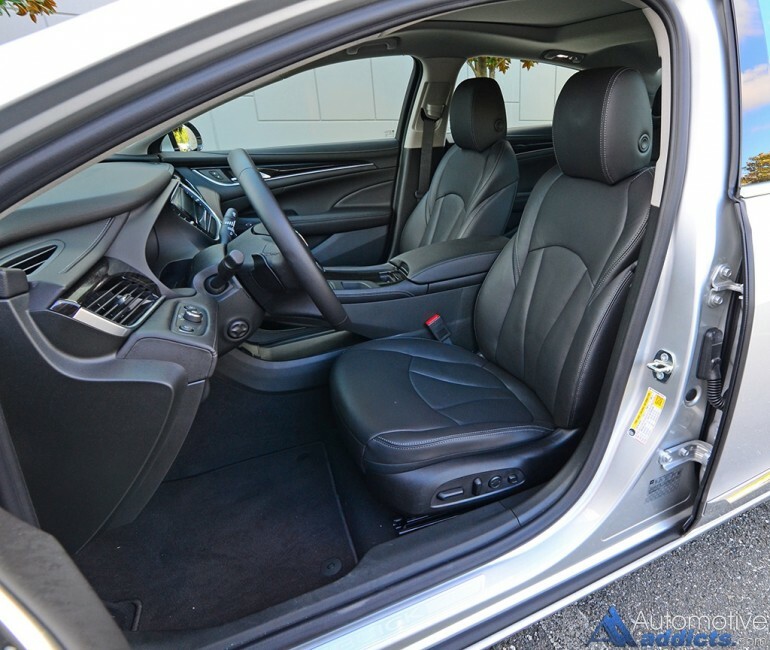 The front seats could benefit from additional bolstering yet they remain to be comfy and have a high amount of adjustability for people of just about any size. I’m willing to bet that if Buick revisited having Shaquille O’Neal as a driver in a new commercial for the 2017 LaCrosse, he would feel right at home and fit like a glove. The front seats have an exceptionally long travel, among the most I have ever experienced in a full-size luxury sedan. Being ‘accommodating’ is almost an understatement. 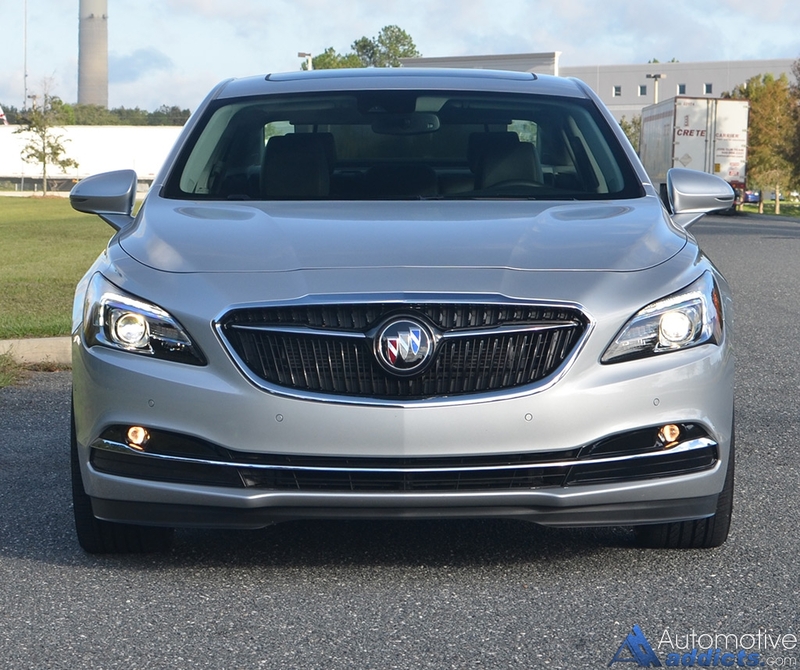 Buick is keeping its eyes on the prize when it comes to forward thinking and including many creature comforts and advanced safety features in the new 2017 LaCrosse. Among a full suite of safety features, the new LaCrosse gets a rear vision camera, rear park assist, rear cross-traffic alert, and a teen driver setting system as standard features. Added on to my test vehicle is the Driver Confidence Package adding adaptive cruise control, automatic parking assist, front automatic braking, and pedestrian detection. 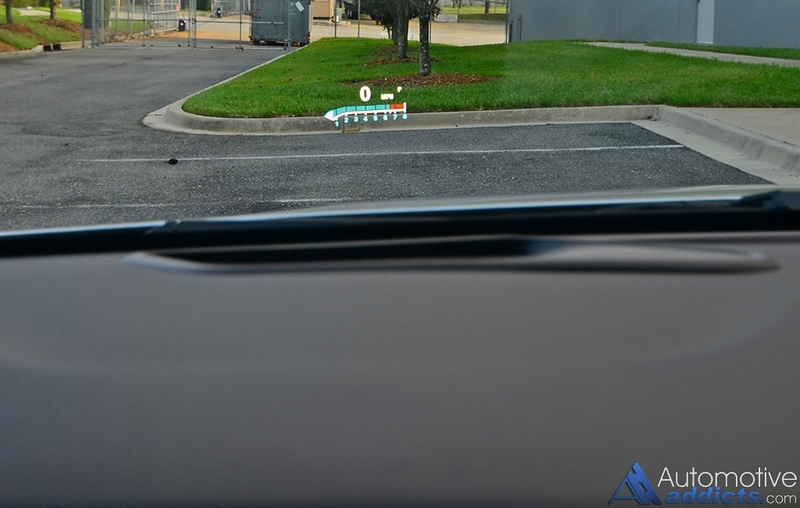 Additionally, the LaCrosse Premium trim adds blindspot monitors, forward collision alert, lane keep assist, and lane change alert. Many of the luxury amenities in the new LaCrosse are fitting for its class, such as a power tilt/telescoping heated steering wheel, 8-way power-adjustable climate controlled seats and massaging front seats with 4-way lumbar, GPS navigation, a panoramic-sized sunroof with a power sunshade, color heads-up display, 20-inch wheels, and articulating HID headlights. 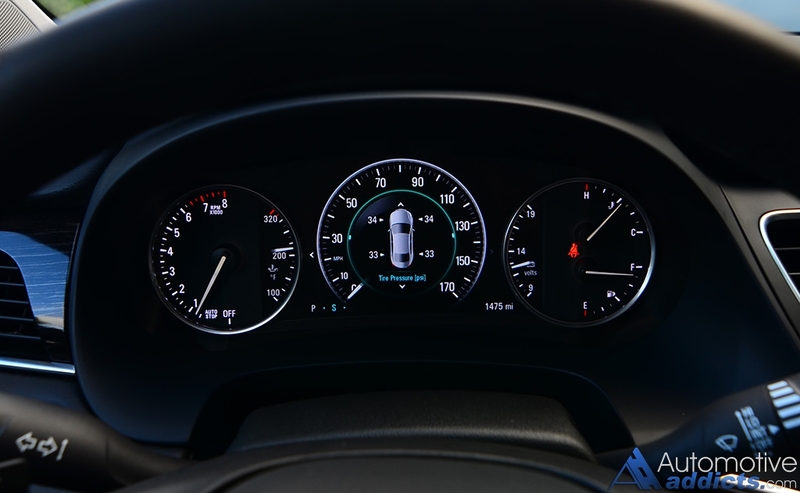 Of course, to top it all off, there is the suite of telematics features from OnStar, including 4G LTE Wi-Fi connectivity, emergency crash response, and navigation. 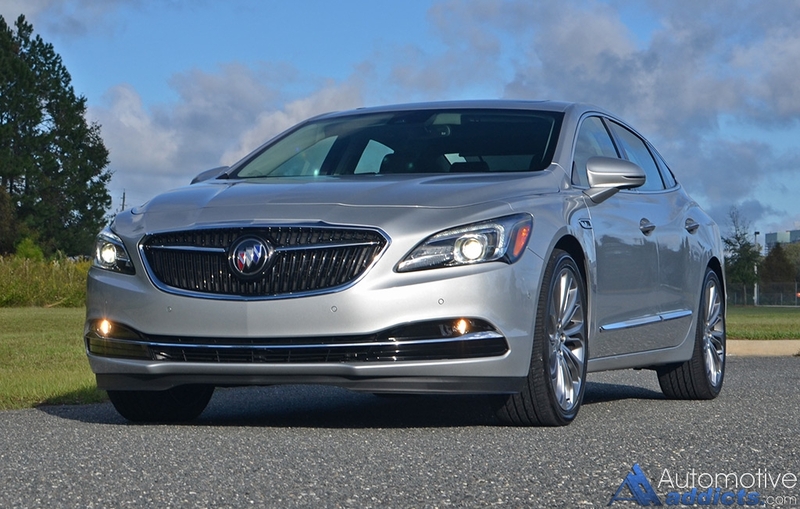 In totality, the 2017 Buick LaCrosse is on the verge of being the best luxury-appointed front-wheel-drive-based vehicle under the GM umbrella for the money. I would go as far as to say that the new LaCrosse rivals its competition in many aspects, such as the Chrysler 300, Nissan Maxima, Lincoln MKZ, or even the Lexus ES 350. 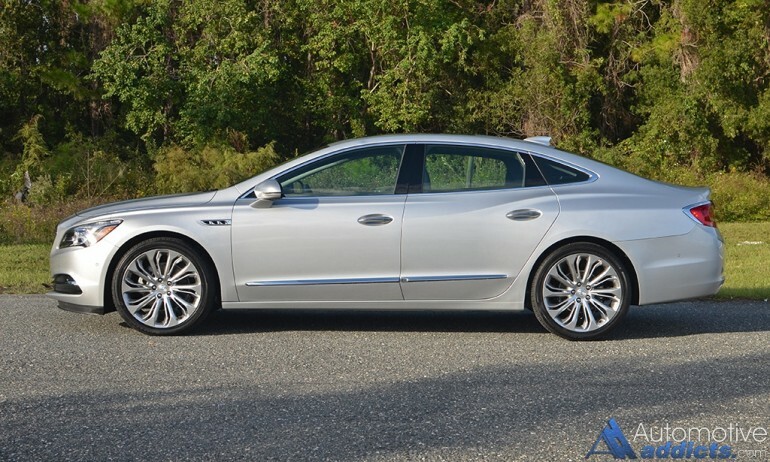 I’ll say it again; this isn’t your grandfather’s Buick, its much more, a modern exemplification of redefining a brand that was once thought to be reserved for those eligible for an AARP membership. The new 2017 Buick LaCrosse starts at an MSRP of $32,065 before any fees or options. 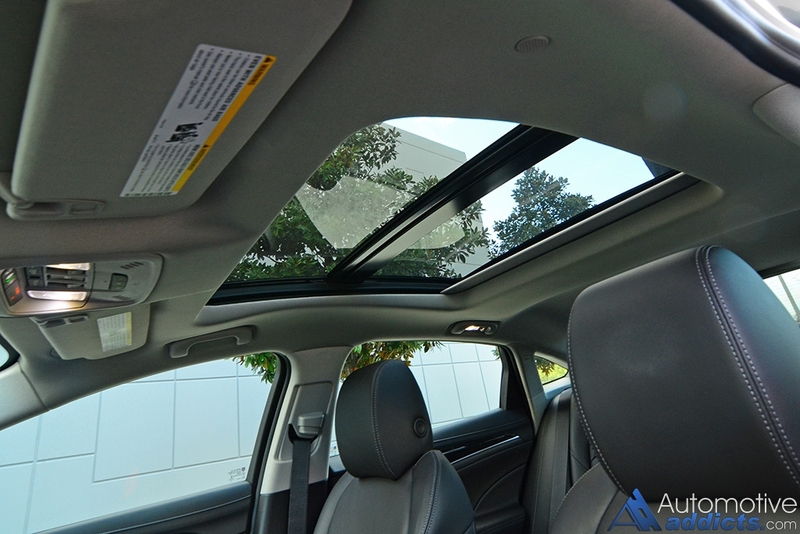 Going up to the next trim level the LaCrosse Preferred jumps to a price of $36,065 before additional options or fees. 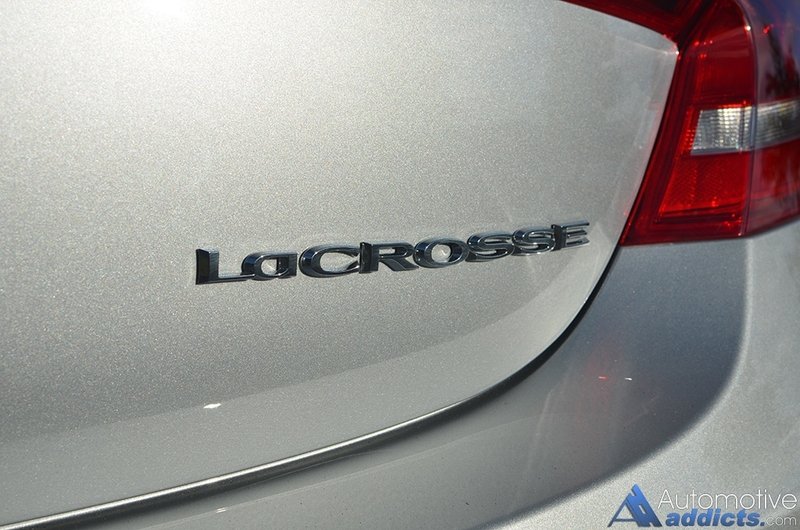 The LaCrosse Essence model starts at $38,665. 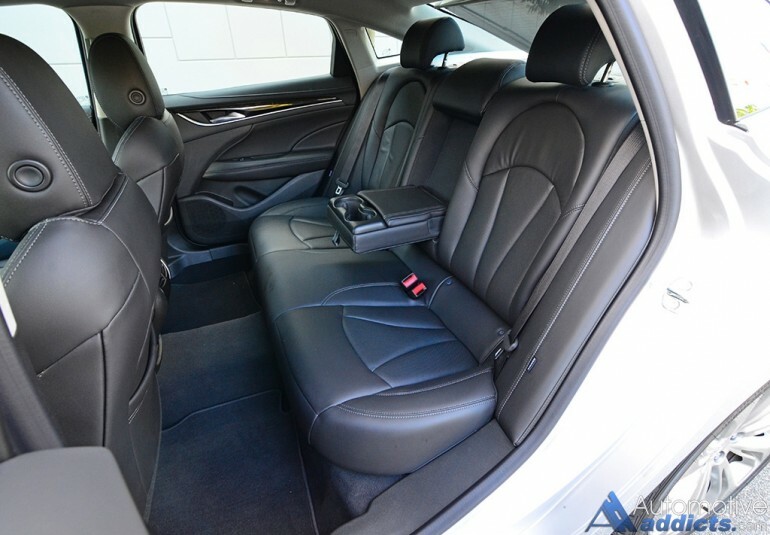 My loaded-up Buick LaCrosse test vehicle comes in at $48,395, which includes the destination charge of $925 and every option outside of the available all-wheel-drive system. Curb weight: 3,700 – 3,850 pounds est.